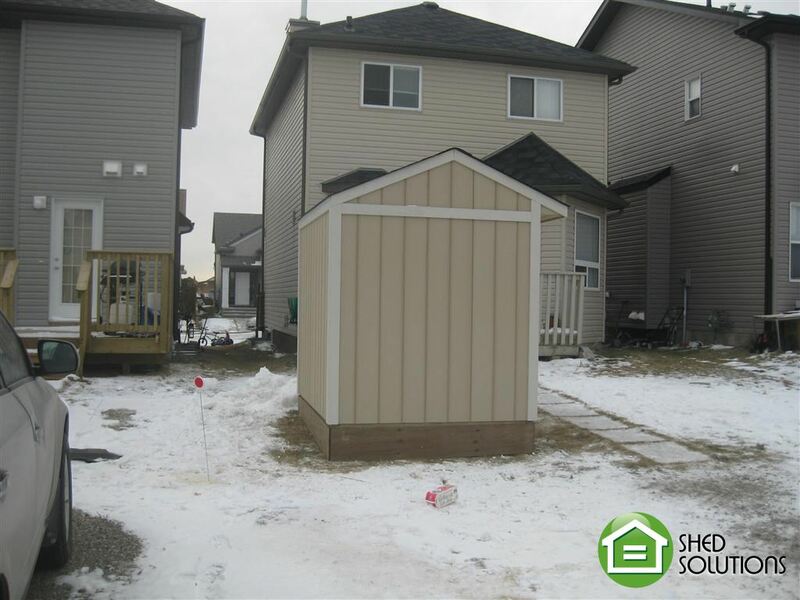 Tariq was in need of a additional storage unit at his Northeast Saddle Ridge home because he does not have a garage. We designed him a 6′ x 8′ side gable model. He upgraded the standard 32″ door to a 48″ double door to allow larger items to be brought in and out of the shed. He also choose to keep it simple and not have any windows installed. 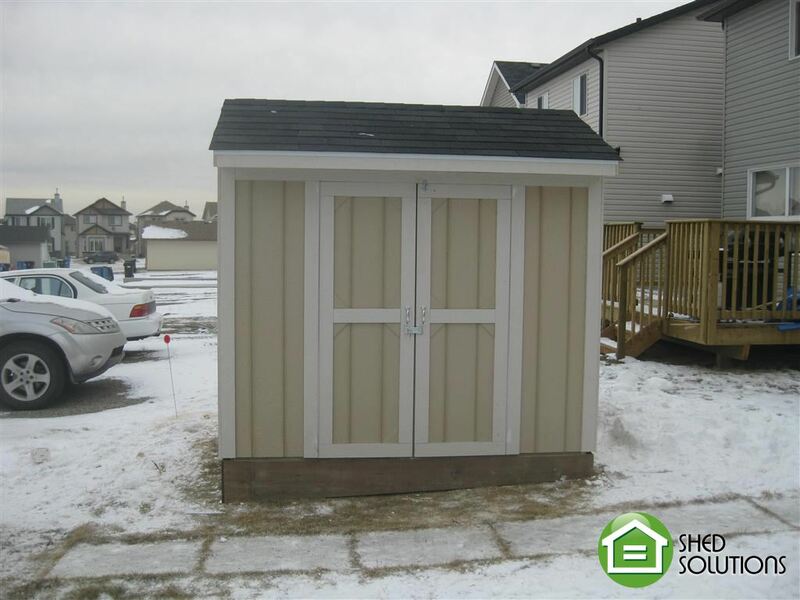 Tariq was very impressed with how much storage this shed provided for him. 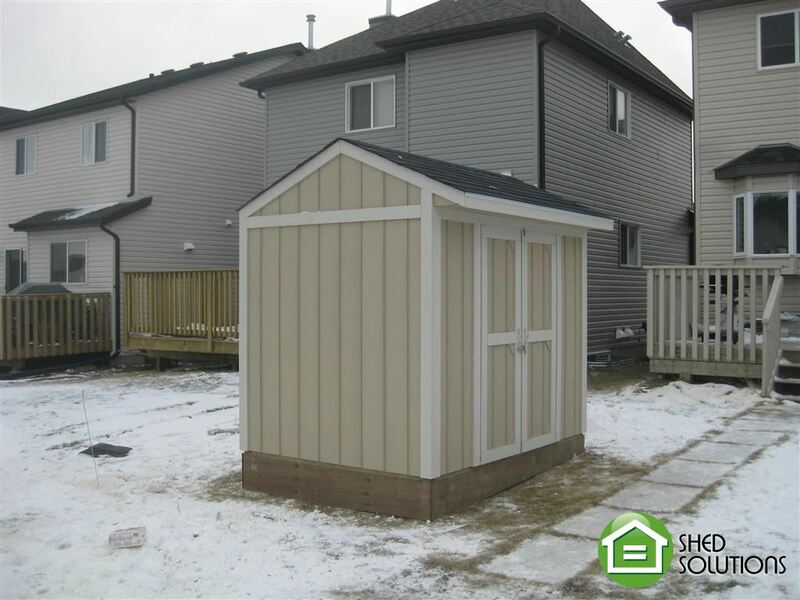 The shed was sided in our Deluxe series siding and finished off with a Skirting package. When Tariq purchased the shed it was not painted only primed. He then went ahead and painted it himself giving it a beautiful look. Tariq now has no more storage issue and can neatly tuck away his personal belongings. This shed was a great option for Tariq.